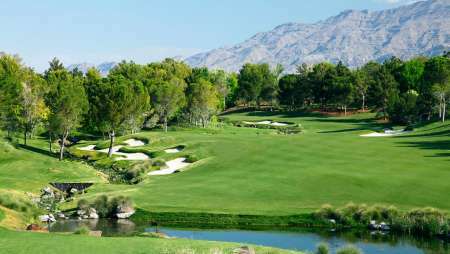 Las Vegas is becoming one of America’s most exciting golf destinations and Vdara is at the forefront with Shadow Creek, a championship course. Step onto the revered, verdant greens of Shadow Creek and experience golf in its prime. As our guest, you will be granted exclusive access to this masterfully created course of legendary acclaim. With unwavering attention to detail and respect for the game, famed Architect, Tom Fazio, strategically designed Shadow Creek as a tribute to golf. Refine your play to optimum performance with each commanding hole while taking in the spectacular scenery surrounding you. Wandering creeks, glistening waterfalls and graceful gardens collaborate to form a landscape simply stunning in character and composition. Accept this coveted challenge and enjoy the golf experience of a lifetime. This rare privilege includes limousine transportation and a personal caddie. Shadow Creek is exclusively for guests of MGM Resorts International properties only. Please call the Shadow Creek Reservation Center for tee times at 866.391.7111. For a preview, visit Shadow Creek online, click here.